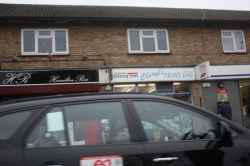 Cheryl's News is a newsagent selling magazines, newpapers and various household supplies. Based in High Street, Cambridge, Cheryl's News is a news agent. Cheryl's News is in High Street Cambridge. You can view a list of neighbouring businesses by going to the High Street page. Note: the pin is positioned at the postcode centre, and may not correspond with the precise location of 189-192 High Street Chesterton.